What makes me an expert mentor to a newbie blogger? Well, nothing really. Seriously. I’m literally no expert at blogging. With that, I’m just going to share my methodology. There are no guarantees that these same tactics will work for you, but I want to help you – and helping others is what I enjoy doing next to blogging. Write! 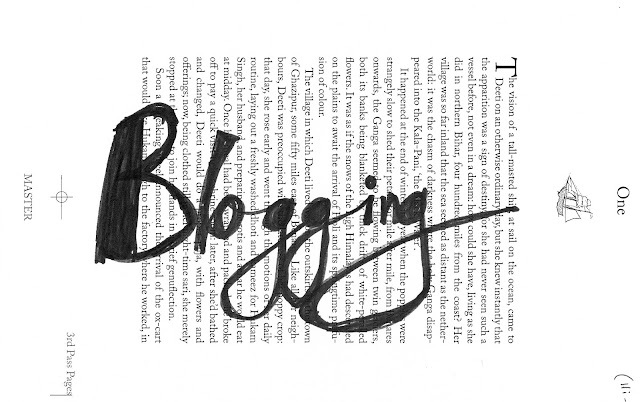 Blog often and/or consistently. Readers will not want to comment on a 2-month old post, with the idea you may/may not read their feedback. Keywords! Hyperlink a word or two or three in your post that opens a door elsewhere in your blog. This is new to me, but I’m finding that the same reader will comment in both places, enlivening posts that I may have written a year ago. Publish and pimp it out on FaceBook, on Twitter, LinkedIn, forums, and all the other places you live online. Respond to comments! Thousands of readers or not (I’m currently the latter), it’s important to make each of your followers know their importance...that they matter. Earn $! Currently, any money I make is used to place my ads on other blogs, supporting them out financially. Technically, I don’t have a penny in my pocket, but it sure feels nice to benefit others with my teeny tiny successes. Several bloggy friends persuaded me to join SocialSpark . They have a pretty great Code of Ethics which is huge for me – I have standards! SocialSpark has options: text links, ad buttons, posts, affiliates, and more – something for everyone. I still haven’t figured out the ‘blog roll’ to get the bigger opportunities, but I’ve only been approved for a short while. I offer several advertising opportunities on my site, too – ad space ‘for rent,’ as well as, product reviews/giveaways. Speed it up! Is anyone complaining about your site being slow? If so, know that buttons on your sidebar create some slowness. If you can, put them on their own page. As for pictures, host them on your site and not on Flickr, Photobucket, etc. Create a media kit! This is simply a document that contains information about yourself, your blog, your ad rates, targeting options, audience, stats, etc. It’s inevitable that a company’s PR rep will request one from you if they want to work with you, so be proactive. Here’s an old example of mine (it’s changed a lot, but you get the picture). It helps cultivate your brand and look more professional. Always be a baby blogger! Never stop gaining knowledge! Above all, blog for the right reasons, with the right intentions. Blog about subject matter close to your heart – don’t create it solely for lucrative reasons, for it may not be a business worthy blog. It may simply be a means of self-expression, a contribution to the world. Sincerity will reap in years to come. Thank you for this! I only started my blog 3 months ago so these are great tips! It really does take time to build an audience. Absolutely, it takes time. Don't expect immediate gratification. Thanks for your comment -- it is always appreciated! Coincidence? I think not -- we're sisters from separate parents. :-) I'll venture over soon to read your new post! Great advice! I shared a link on Twitter. Hopefully, it will be beneficial to others. Karen, you are a gem -- I am so grateful for your share on Twitter. I do hope I can help others...nothing makes me happier. Thank you so much! Cindy, you're so right -- we should always remain baby learners and keep ourselves open to improvement. Thank you for sharing my link on Twitter -- that means the world to me. Hugs to you! I am heading over to visit you, btw. I needed this! Thanks for sharing.New follower. Peace and blessings! I'm so happy to help. Nothing means more to me than helping others. Grateful for your follow! This is a great post with of tools and tips for newbies like myself , will be sharing this with my readers !! Hi Amanda! Thank you for commenting; so glad to know this post helped in some way. I appreciate you! Great advice. I especially like the Rule of 5. That should help me to focus. I sometimes feel like ADHD blogger running all over the place. So much to do. So little time. You're not alone -- I feel very ADD while blogging -- trying to learn, connect, and fulfill my own blog posts. Thanks for commenting. More so, thanks for following! Thanks for the tips. These are great! Found your blog on Amy's Family Fridays and you have a beautiful family! Talisha, I could hug you -- those are such sweet words. Thank you so much for visiting my blog!! I really love this post! I've been blogging for over a year now but totally take these tips to heart. Now is when I'm really focusing on expanding my blog's content and reach. I have the time and inspiration to dedicate to it and I absolutely love it. I'm so ready to try out a giveaway soon. So I appreciate your advice and examples. So awesome! I'm going to share this post. Such great info, girl. Job well done. I'm a little tricky because while I'm paying for my own domain name via WordPress.com - I still haven't made the jump to self hosting and I know I'm missing out on so many awesome plug in's and extras. I know you're not on WP but I appreciate your advice on the subject so much so. Love that rule of 5! Ex-teen! :-) Your fan-ship touches me so! You've been such a loyal follower, and I want you to know how grateful I am. If I'm not mistaken, you're in Houston? We should really make a point to meet for coffee in the near term. I haven't purchased my own domain name, either, but I'm looking into it. I understand that GoDaddy is the way to "go." I'm not sure I know where my comment went but #lol I wrote you a lovely long one prior to this. Not sure if it made it's way through to you. Love this post! I've been blogging for over a year but now is when I'm really focused on expanding it's content and reach. I enjoy it so much. Being able to network with other awesome bloggers (like you!) has been so great. Kudos on the awesome tips! XOXO -- you're so cute! I don't know if you've received the Liebster Award before, but either way, you've received it from me today. Feel free to ignore this if you've already been nominated. Have a great weekend! Hi angel! It's a funny thing that you're mentioning the Liebster award, because I have a post scheduled for Monday nominating YOU for a Liebster away. How coincidental. Hey... Just popping over and following on GFC the Aloha Friday Hop. I would love for you to stop by my blog if you have time and if you like follow too. :) Hope you've had a great weekend! Amazing tips! Thanks for visiting my blog I love yours totally followed back! These are great tips for a new blogger like myself or for someone who wants to continue growing their blog. One question though, how do you Promote a post and make a post in a forum. This was an awesome post. Thanks for sharing, knowledge is power! !